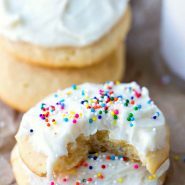 Sour Cream Sugar Cookies – easy soft sugar cookie recipe that makes perfect frosted sugar cookies! No chilling, rolling, or cutting necessary! 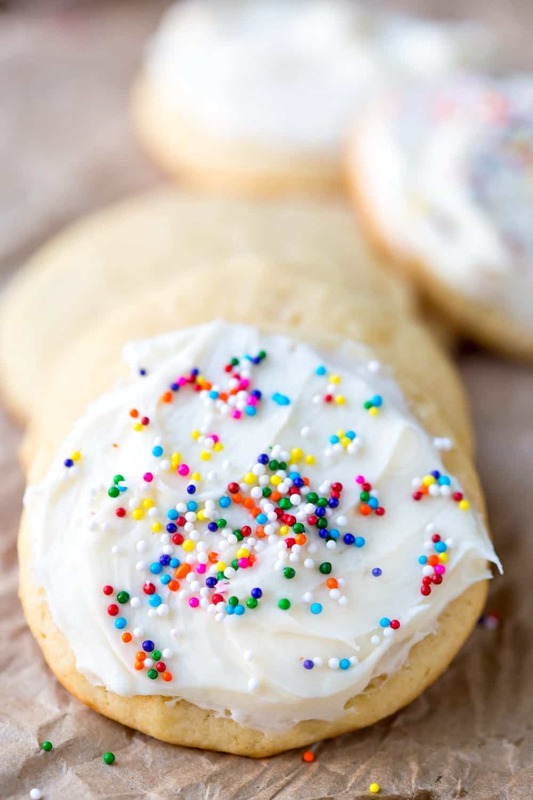 I’ve had a love-hate (mostly hate) relationship with sugar cookies over the years. Sugar cookies are usually so pretty. They are cut out in cute little shapes or frosted and decorated so that they look extra delicious. The problem is that they so often look better than they taste. There’s nothing worse (cookie-wise) than taking a bite of a lovely cookie only to find that it is dry tasteless or is so sweet that it makes your teeth hurt. 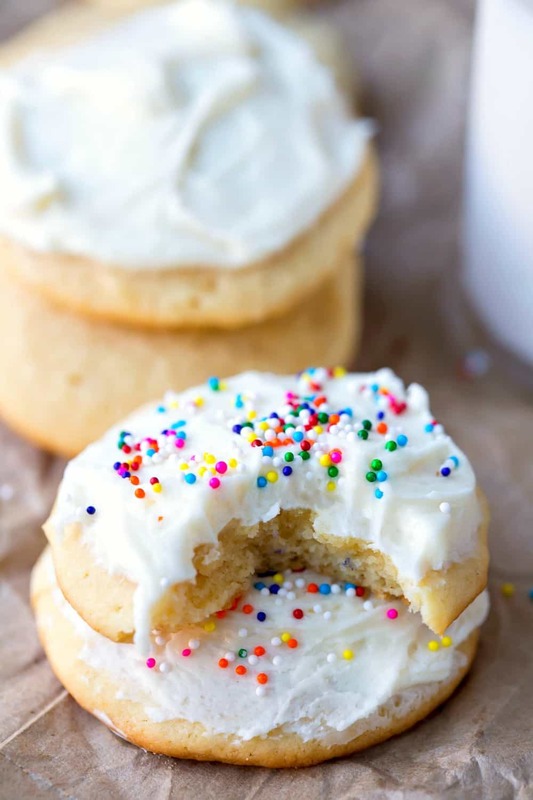 These Sour Cream Sugar Cookies are far easier and so much tastier than that kind of sugar cookie. They are soft and sweet and require no chilling, cutting, or rolling. All of which make them a great choice when a sugar cookie craving strikes. These sugar cookies are a little different. They are drop cookies, so they don’t need to be rolled out. Also, the dough doesn’t have to be chilled before baking. The dough is made like a traditional drop cookie dough. Just be careful not to over-mix as you’ll want the cookies to be tender. 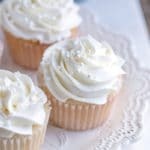 Also, these cookies are topped with a traditional buttercream frosting instead of a royal icing. What makes these cookies soft? The combination of sour cream, egg yolks, and brown sugar all help to make these soft sugar cookies tender. What is cool room temperature? 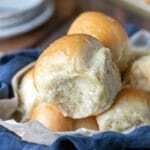 To get get the best results, make sure that the butter is at cool room temperature, not room temperature or melting. 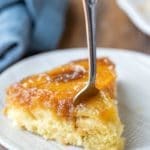 The butter should dent a little if poked but shouldn’t be warm. If the butter is too warm, the cookies won’t hold their shape and will end up flat. I recommend storing the cookies in a single layer in a resealable bag. I also recommend chilling any leftover cookies. 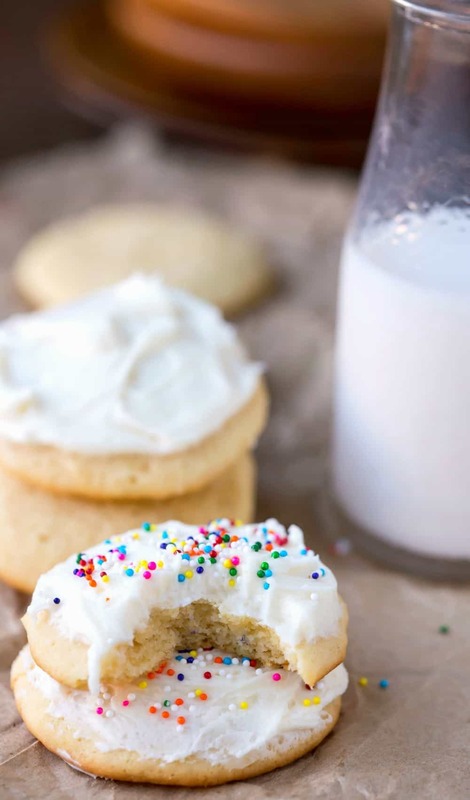 If you’ve tried this sour cream sugar cookie recipe, don’t forget to rate the recipe and leave me a comment below. I love to hear from people who’ve made my recipes! You can SUBSCRIBE to receive my latest recipe newsletters or FOLLOW ME on FACEBOOK, INSTAGRAM and PINTEREST for even more delicious food. I’ve made these cookies about 8 times now. My husband and daughter LOVE them. And when going to an event people always tend to ask me to bring these sugar cookies! They never last long around my house. Plus its an easy enough to get my 3 year old involved in making them! I’ve went through a lot of (not so great) recepie’s before getting to this one! Thank you for sharing this! Yay!! These are my favorite sugar cookies, and I love to hear that other people are enjoying them, too! I’m glad that your family likes them. =) Thanks for taking the time to come back and comment! I love these Sugar Cookies. They are so soft! Thank you for the recipe. I don’t like sugar cookies but I really wanted some and decided to try this recipe. It was SO good!! The cookies were easy to make and really good. Thanks!